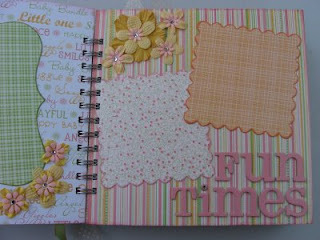 One of my favorite things to create is an instant "on location" scrapbook. The idea is that you create the memory book at the event as it unfolds so that the album is ready and can be viewed as the event is ending. 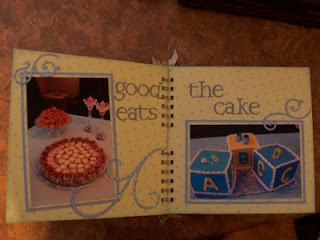 The first one I ever did was a bridal shower recipe and advice scrapbook. 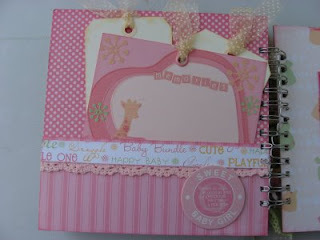 This was years before I actually started scrapbooking, but the idea was essentially the same as what I do now. For that surprise shower I gave the guests index cards before hand and asked them to share a favorite recipe (if you do this, make sure your guests do *not* write on the back of any of the items you give them --instead give them "extra" cards to continue their writing on). I also gave out large die cut hearts and other shapes for them to record any advice they wanted to share with the bride-to-be. 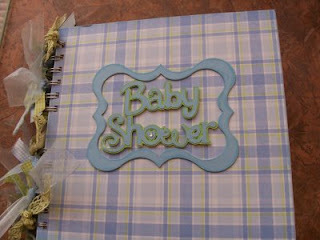 At the shower, I set up a work area beyond the view of the guest of honor where I could assemble the instant album. As I mentioned this was pre-scrapbooking days so this particular album was created using a magnetic "cling" photo album (eek! not photo safe). Anyway, I added stickers and embellishments to the recipe cards and inserted them into the album along with Polaroid photos we were taking throughout the shower. As much as possible. 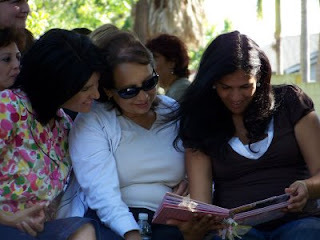 I tried to keep advice and recipes together with photos of the guest who had provided them. When the album was done, I popped it into a pre-wrapped box (the type where you wrap the top and the bottom so that you can easily open and close it) and we placed it strategically on the gift table so that it was the last gift opened. I really can't describe what an impact this sort of gift has, but suffice to say that these are always a big hit. 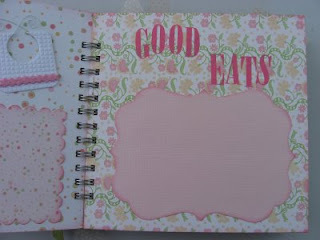 Now that I've become a more experienced scrapper, I've decided to add Instant Scrapbooks as a service available from PaperCraft Princess. These days I no longer use cling albums or Polaroid cameras... instead I bring a small photo printer with me and custom pre-made albums. The results are quite effective.